As we round out the first week of the year, I hope you have taken the time to sit silently with the Lord. Quiet, peaceful prayer doesn’t just look the same for everyone. 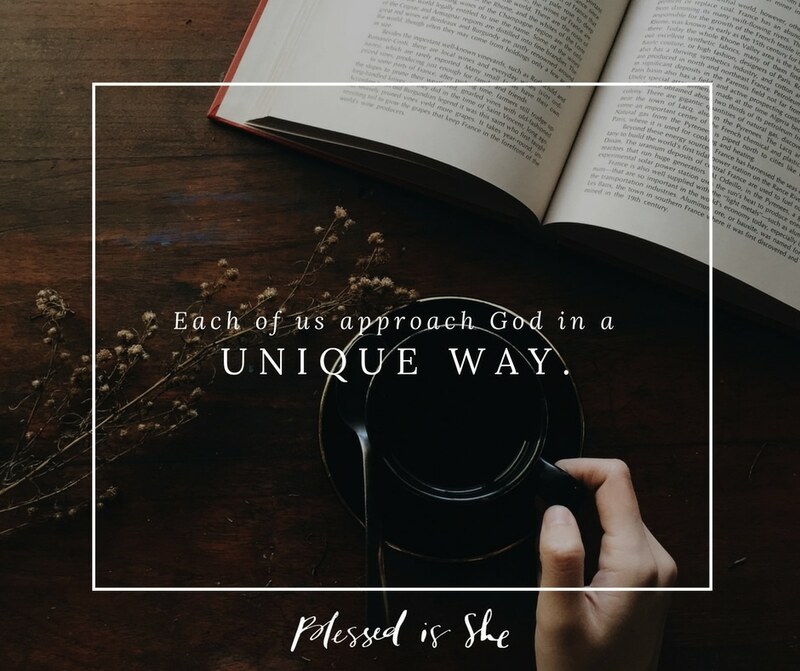 Like any other facet of our lives, each of us approach God in a unique way. 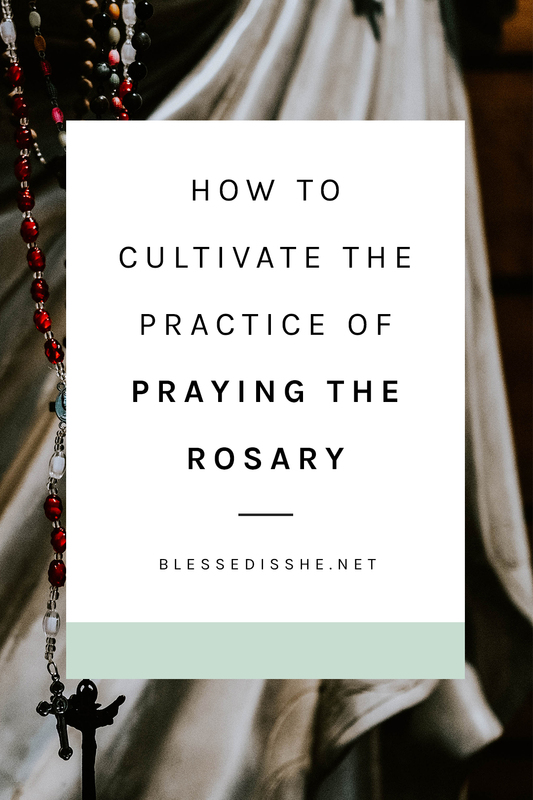 For some of us, silence and contemplation come naturally, but for others, calming the heart and mind for prayer is one of the greatest challenges of our prayer life. Today, seek out a way to find quiet and turn toward Heaven. Share your favorite way to pray quietly. How do you cultivate internal peace? Are you comfortable with sitting in silence? For me it is rising in the dark of the morning. The silence allows me to focus, and think and be fed before the busy of the day sets in. When I am distracted by too many thoughts, prayer journaling helps. These are such good tips, Chrissy! When I go on my morning walks I take my rosary and say it while walking. It starts my morning in a peaceful way. When my husband and I are helping out the custodian at our church I always slip away for a little while to sit in a quiet spot to just sit in prayer. If for some reason I don’t get to do these two things my day feels off, like I took an off step somehow. This has been a wonderful boost to my praying life. I’ve been more intentional because of this wonderful pledge and community. I’ve been to adoration twice, prayed while doing laundry and dishes (thank you Kathryn Whitaker) and I’ve downloaded a prayer app on my phone to listen to while I commute to work. It has helped me be a better pray-er. Thank you! I love this community. And I have to say the takeovers of Instastories are genius. Bravo! We are praying for you and with you, Nette! This prayer pledge has also helped me with encouragement and reminders to go to God in prayer, wherever I may be. I love the morning and evening times, and I use pray-as-you-go for the times I am on the go during the week. I made it to adoration and mass this morning. Tuning into the life of the Church also keeps me intentional with liturgy of the hours and First Saturday. I love knowing I am praying in community with you all! Each day I try to sneak in some minutes for prayer and contemplation usually before everyone gets up. Thanks for helping me start my day with prayer today. Morning Mass helps me start the day close to Him & focused. As the day unfolds and distractions come…. 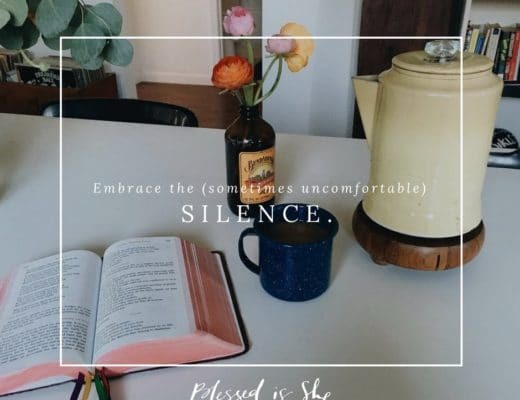 especially when checking my morning email or FB, I enjoy reading Blessed Is She (thank you!) , it kind of stops me in my tracks and realigns my distracted brain! I try to spend some time during the day even if it’s 5 minutes to read & connect with God. In the evening I like to listen to an audio Examen. I enjoy sitting in silence, but the trick is focusing my mind. I’ve found that it is more of something that God has to help me with rather than something I can force myself. I start each quiet time by simply asking God to quiet my mind and open my heart to receive Him. Then I can trust Him to guide my thoughts. Often the pressure of us feeling like we need to quiet our minds and not think about anything is enough to send our head spinning. I’ve learned that silent adoration is not about not thinking, but about letting every thought be guided by His Spirit. Letting clarity come over every situation and every relationship just by allowing Him in. 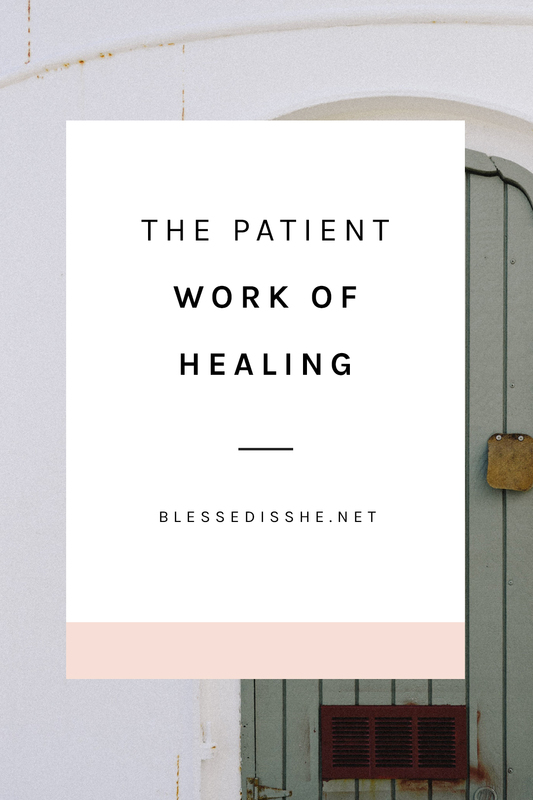 This is helpful when sitting in silence & quiet & trying to connect with God… a great reminder to ask Him for help rather than trying on our own. Thanks. My favorite way to pray quietly is writing letters to God. Celebrating my first lent in 2016, I decided to add something rather than take away something. Ever since I gained the ability to write, not to spell, as a very young child, I loved to write. As I grew and I gained the ability to spell, my dream, to this day, is to publish a book and become writer. I have read and been told that to be a writer one must write every day to be. I wasn’t, therefore, for lent I was devoted to write every day… write letters to God. Since lent, this has become almost my daily practice of prayer. I am currently on journal number 4 writing letters to God. I love to write and pray at night. I am able to reflect on the day with God and give up my worries, fears, doubts, to Him. You can say this is one way I go to the cross and lay my burdens down. When I write my letters, I cultivate internal peace. It’s my time, time that I am conscious of that I am sharing and spending with God. It’s quite, writing in my room at night, as the life from the day sets with the sun. As I write, I speak to Him, hearing and giving voice to my words and thoughts inside my mind. There, that internal place I speak is where I cultivate internal peace. I can say that one way that God found me was through my passion for writing. The summer of 2014, I began to write more often. I expressed the inspiration that sparked me to go and write, if it was reflections on thoughts or ideas, or capturing moments that I did not want to forget. At that time, I was writing to someone… that someone was me. I was writing for myself and to myself. I internally spoke directly to myself. Then at my first adoration, at my very first retreat in fall 2015, that was when I wrote my very first letter to God. I found Him, though He already found me and of course knew me. I cultivated a whole new peace that I never knew before. Now writing letters to Him as my favorite way of praying, I cultivated an internal peace that is whole. It’s is so much better than a peace when achieving satisfaction that I set out to do for myself, in regards to writing.. It gives my soul substance and existence, as I continually build a personal relationship with God.